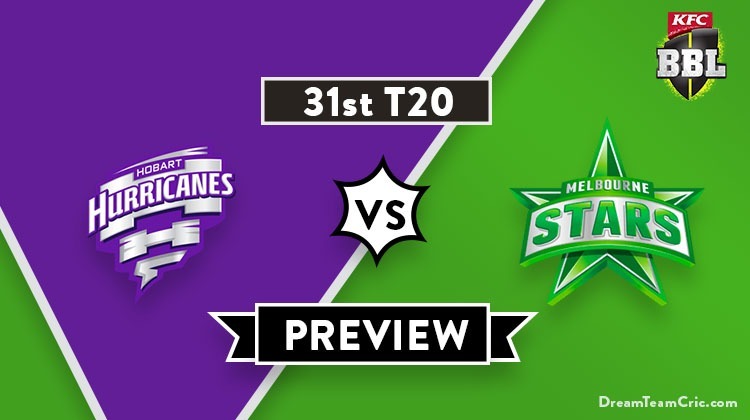 Hello and Welcome to our preview for Hobart Hurricanes vs Melbourne Stars match. 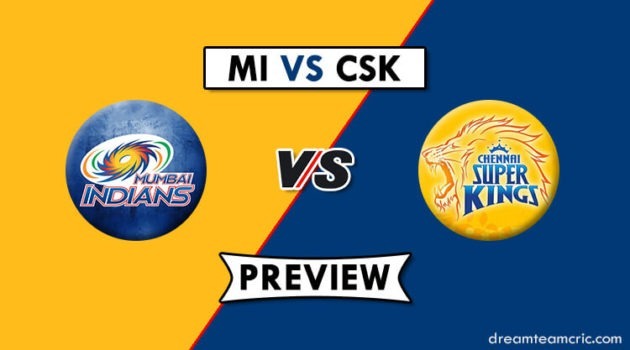 We are covering HBH vs MLS Dream11 Team Prediction, Preview and Probable Playing XI for the Big Bash League 2018-19 match. The match is to be played at Melbourne Cricket Ground. Hobart Hurricanes are on the top of points table with five wins and one loss. They lost their last match to Melbourne Renegades by 6 wickets. Batting first, They faced a rare top order failure but George Bailey and Ben McDermott were brilliant scoring 70* and 50 respectively to lead the team to a total of 145. Their bowlers failed to defend the target leading to their first loss of the season. They will hope to get back in winning ways and defeat Melbourne Stars. Melbourne Stars have won three and lost four encounters yet in the season. They lost their last match to Adelaide Strikers by 41 runs. Bowling first, Liam Plunkett was at his best taking four-wicket haul to restrict Strikers at 178. Gulbis and Dunk gave a positive start in the chase but other batsmen failed to capitalize on the start. Bravo was good with the bat scoring 33 runs but was left behind by 41 runs. They will hope to give a tough challenge to mighty Hobart Hurricanes. Melbourne Stars They will hope to give a tough challenge to Hobart Hurricanes. HBH vs MLS, 31st Match, Big Bash League 2018-19. Matthew Wade (c), Jofra Archer, George Bailey, Johan Botha, Alex Doolan, Jake Doran, James Faulkner, Ben McDermott, Riley Meredith, Simon Milenko, David Moody, Clive Rose, D’Arcy Short. Tom O’Connell, Scott Boland, Dwayne Bravo, Ben Dunk, Evan Gulbis, Nick Larkin, J Bird, Seb Gotch, Liam Bowe, Liam Plunkett, Nic Maddinson (c), Lance Morris, J Merlo. They have declared unchanged 13-men squad for the match. Matthew Wade will open the innings along with D’Arcy Short. Alex Doolan, Ben McDermott, George Bailey and Simon Milenko will follow them. Johan Botha, James Faulkner, Jofra Archer and Clive Rose can contribute with the bat as well as the ball. Clive Rose, D Short and Johan Botha will handle the spin department while James Faulkner, Jofra Archer and Riley Meredith will spearhead the pace attack. No changes are expected in their playing XI. They have declared 13-men squad for the match with one change. Tom O’Connell replaces Michael Beer in the squad. Evan Gulbis and Ben Dunk can open the innings. Nick Larkin, Nic Maddinson and Seb Gotch will follow them. Dwayne Bravo will play the role of an all-rounder. Jackson Bird, Liam Plunkett, S Boland and Dwayne Bravo will be the key pacers while Liam Bowe will lead the spin attack. Jonathan Merlo has failed to perform and can be replaced by Tom O’Connor. Chances of same are less. Matthew Wade (c and wk), D’Arcy Short, Alex Doolan, Ben McDermott, George Bailey, Simon Milenko, Johan Botha, James Faulkner, Jofra Archer, Clive Rose, Riley Meredith. Evan Gulbis, Ben Dunk, Nick Larkin, Nic Maddinson (c), Seb Gotch (wk), Dwayne Bravo, Jonathan Merlo/Tom O’Connell, Jackson Bird, Liam Plunkett, Scott Boland, Liam Bowe. Captain and Vc choices: D Short, M Wade, B Dunk, E Gulbis, D Bravo. J Archer. 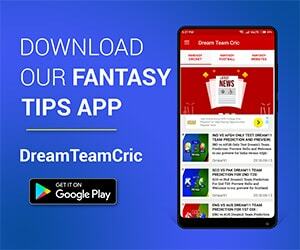 If you liked HBH vs MLS Dream11 team prediction, then follow us on Twitter for Latest Cricket News and Grand League Teams.